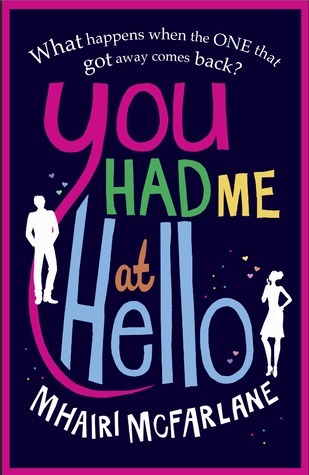 When we decided on You Had Me At Hello by Mhairi McFarlane for our next book, I really wasn't expecting much. I thought it would be a cute, beachy type read. It definitely was that, but I was also pleasantly surprised at how much I enjoyed it- more than a typical beachy type read. The book is basically about Rachel and Ben, who were friends in college and it's now 10 years later. 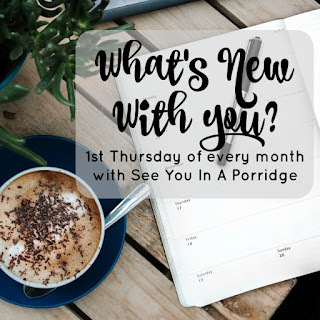 It's a mix of present day and flashbacks, with you slowly finding out about their friendship and what happened between them as the current day Rachel and Ben are getting used to being back in each others lives. It's the whole 'one that got away' story. But there is definitely more to it than that. Someone else described this book as 'light but not shallow' and I think it hits the nail on the head. It was definitely light, a little cheesy and fluffy, but also actually interesting, character driven and complex. I really did enjoy it. It was funny and sweet, and very real. The only slight issues that I had were that it was quite long and drawn out, but then it ended super quickly and I would have liked a bit more at the end. Also, I think there was a lot going on in terms on conflict and it got a bit overwhelming when everything hit the fan at once. That being said, it was a good read. I'd definitely say it's a good beach read, or winter read, curl up in front of the fire or with the windows open when the first really warm day of spring gets here.. Good for a few chapters each night before bed, or reading in one sitting. Not gonna blow your mind or change the world, but it was enjoyable and if you're anything like me, you read for enjoyment. 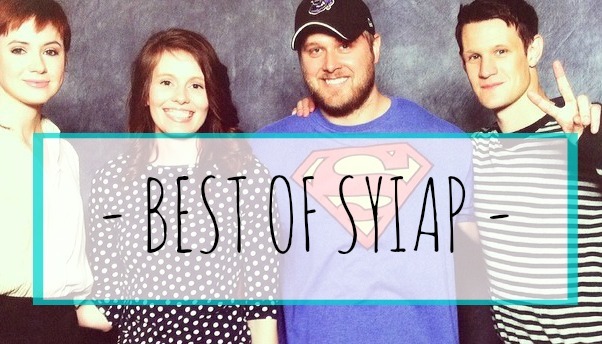 So I hope you check it out! 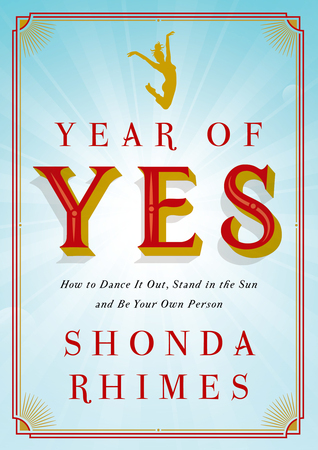 Our next book will be Year of Yes by Shonda Rhimes. We hope you'll join us in reading this one, we'll be chatting about it on the 5th of April. If you read You Had Me At Hello we'd love to hear your thoughts or have you link up with us. I just put the Year of Yes on my to read list . . . my girlfriends and I had a year we called this . . . those were fun times! Adding to the easy beach read category! I've been wanting to read the year of yes! I'll join in on this one! This sounds like such an enjoyable read-- I love books like that, that aren't too intense but you still like them! I'm not a Shonda Rhimes fan-- I'm not, not a fan, I've just never watched any of her shows, but you know I love a good self improvement type book so I'm going to request it as soon as my next hold spot opens up. Yes to the Year of Yes! I keep hearing good things about this book and have been meaning to read it. Might have to join in for next month! Sounds like a fun beachy read! We're going on a week-long vacation this summer so I need to start a reading list! The Year of Yes is on my TBR but I don't think I'll get to it for the book club. I'm trying to work through a dozen NetGalley books before they boot me from the site. Oh, I love a good light read. Gotta add this to the list. I'm interested what you think of the Shonda Rimes book. Well, a month later, I finally am down to the final 40 pages of The Goldfinch, and then this is still waiting for me at the library to immediately start next. I'm glad to hear that you enjoyed it! After the Goldfinch, I need something a little more lighthearted (and enjoyable). I am going to check this one out, looks like a fun read! Sounds like an easy read to add to my library hold queue. I'm interested in Year of Yes too, though far too cheap to BUY a physical book when I can get everything for free through the library. So I guess I'll just add it to the list & see when it makes it in. I just added the year of yes to my to-read list! I've heard great things. This is motivating me to move it up on my list and have it read for the next link-up! I think that one of my favorite parts of the book was all of the flashbacks between present day Rachel and Ben and past Rachel and Ben. I agree with you that middle parts of the book did seem to drag and then all of a sudden they were together and the end. I've heard about quite a few people reading Year Of Yes, so I think that's a great pick for our next book! sounds like a good read~ sometimes it's nice to have a lighter read but one that still has a bit of depth to it. Glad to hear it! Recommendation s are the only way I find new books to read - sounds like a good one! I've been wanting to read the year of yes, i've heard wonderful things! The title had me but then I read reviews that said its a fun book but shallow. Lost interest in it. But may be I will read it someday. Not high on my TBR though. 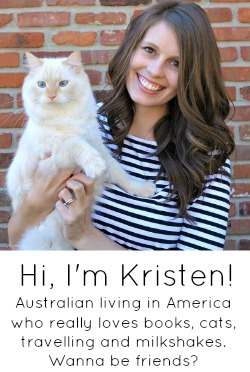 Btw, I am back to the blogging world :). It's interesting and reading the reviews here make me more intrigued. I'd love to read this soon. Another one in the books for the book twins :) LOL I agree completely that this book was "light but not shallow" although I'm beginning to think that 'not shallow' just isn't deep enough for me. Still liked the book well enough!